We collaborate with a number of auction houses in the U.S. to provide their clients with instant quotation for transporting their purchased vehicles. 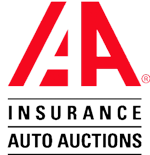 If you have purchased a vehicle from an auction, get your instant and guaranteed quote here. Choose supported auto auction below to get started. Vehicle Stock Number is required for instant quote. It can be found on detailed vehicle description page. Copart Lot Number is required for instant quote. It can be found right under the image of a vehicle or can be selected from Buyer Account > Sales Inquiry > Open Invoices.